I’ve spent the last few months polishing Maze Rats, a minimalistic OSR-style dungeon crawler derived from Chris McDowall’s Into the Odd, and which should appear soon in a supplement for that game, Odditional Material. I may expand it later into something more complete, but it’s perfectly playable as is now. 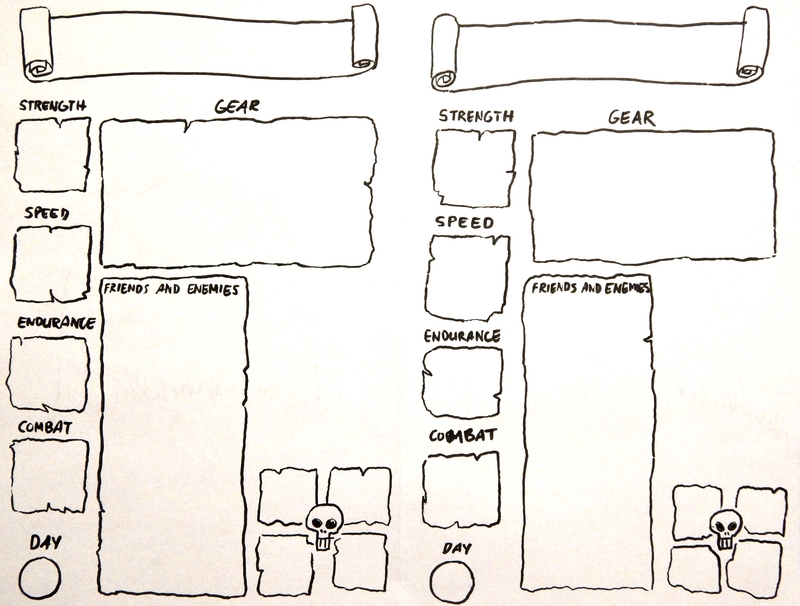 It also fits onto two double sided sheets, making it ideal for players new to RPGs. You can make characters in minutes, and explain the rules just as quickly. Download the whole thing below and let me know what you think! I’m on a random table kick, a d100 table kick to be precise. They’re all still works in progress, but I figure I’ll start throwing them up here for others to use. First up, 100 character traits for NPCs. Roll a d100, or just choose ones you find amusing. 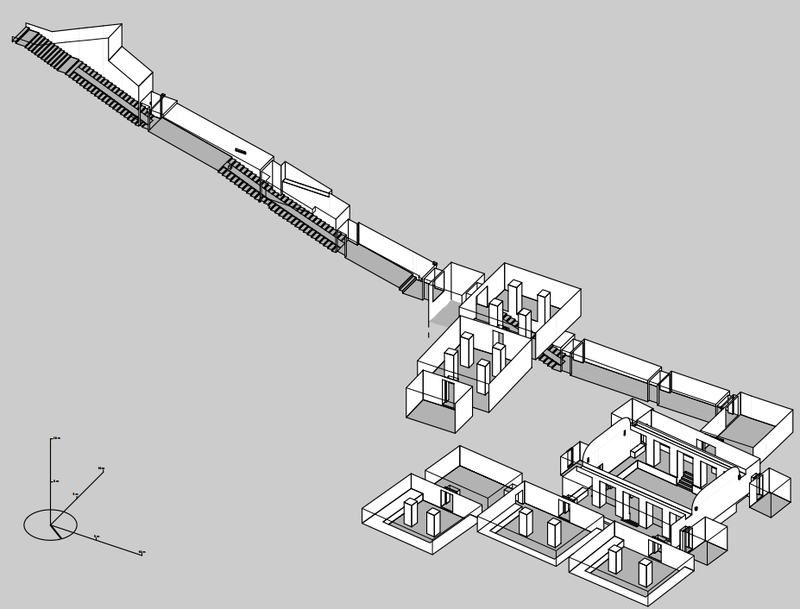 I recently discovered the Theban Mapping Project, which is mapping all of the tombs in Egypt’s Valley of the Kings. It’s amazing how similar many of the tombs look to DnD-type dungeons. Since the PDFs with the maps were scattered all over the site, I compiled them into a single document here. Over the summer, I spent a lot of time reading up on OSR games, and gaining a new appreciation for that style of play. I’m working on a DnD mashup game called The Broken Throne that combines my favorite mechanics from earlier editions with house rules from DIY DND blogs round the web. I’ll write a more in-depth post about that later, but today I want to look at one of my favorite mechanics, notches. I first heard of notches via Last Gasp Grimoire, but Logan’s system for tracking weapon and armor degradation is a bit too complicated for my taste, so I looked for a way to slim it down a bit. My main complaint was that there were two values you had to track, quality and notches. In Logan’s system, rolling a weapon’s quality or less made you add notches equal to the quality, and from then on if you rolled quality or less you had to roll over notches on the weapon’s damage die or add another notch. Gaining notches equal to the damage die or failing to roll over the notches broke the weapon. 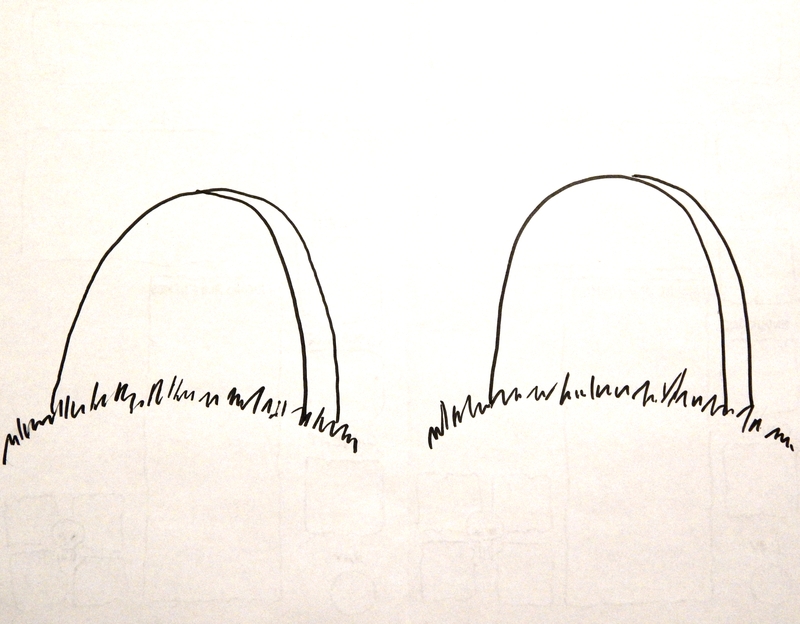 I tried a couple things, but the most straightforward solution was to eliminate the quality value and just use notches. Weapons start with 1-5 notches. If you roll notches or lower on an attack roll, try to roll over the notches on the damage die. If you successfully do this, add another notch. If not, the weapon breaks. For armor, if you roll notches or lower on a defense roll (I use contested defense), add a notch and subtract 1 AC. Armor breaks at 0 AC. This has a couple interesting effects. First, it makes it possible, though very unlikely, for high quality weapons to break on the first swing, which wasn’t possible in the original rules. Second, as weapons take damage the threshold at which you test for breakage rises. Thus, the breakdown escalates more quickly over time, rather than remaining static. These rules are a bit harsher than Logan’s, but I’m willing to pay that price for simplicity. I was just watching Adam Koebel’s intro to Burning Wheel on his Roll20 channel, it turns out he’s using the BW procedure guide that I wrote a while back! I’m working on an updated and expanded version, but if you want the most recent edition, check out the downloads tab. I’ve launched a Patreon campaign to support Questing Beast! If you become a patron, I have lots of great rewards lined up, including joining me on live mapmaking sessions and winning free commissioned maps! The subject of the classical four humors came up in my 5th grade class today. According to Galen, there were four fluids that controlled the personality: Black Bile, Yellow Bile, Phlegm, and Blood. The corresponding personality types were Melancholic, Choleric, Phlegmatic, and Sanguine, meaning “Sad and Thoughtful,” “Intense and Angry,” “Relaxed and Easy-Going” and “Outgoing and Sociable,” roughly speaking. It might be interesting to use these as character stats, but translated into RPG terms. For example, Investigation, Aggression, Stealth, and Social. Presuming that the values for these stats would be distributed differently among the players, you’d have characters that would have to focus on very different play styles in order to succeed. So on the one hand, I have Sellsword in the works, but I’d also like a way to teach the kids real roleplaying and storytelling. A tall order when you’re 11. My mind immediately went to Luke Crane’s games, which have a strong focus on story and character development, but are very procedural and crunchy at the same time. Kids need rules in order to navigate a game. Playing something like Fiasco with them doesn’t work well, since they haven’t developed an intuitive grasp of story the way that most adults have (at least those who consume a lot of fiction.) “Purer” storygames require this sense much of the time, and it’s often too much to expect. So, we need rules. Luke Crane’s games are too difficult for 5th graders, except maybe Mouse Guard, which is out of print at the moment, but the focus on beliefs and goals is exactly what I need. I’m imagining a system where players write beliefs and goals, and then have to play towards those goals in order to gain mechanical control. If players want to ignore their beliefs and goals, they can, but the game becomes completely diceless. All actions are decided purely by what seems most interesting to the GM. However, when they are pursuing their beliefs, or when their beliefs are challenged they regain mechanical control. In these situations, the GM Says Yes to requests, unless failure would be interesting, in which case the conflict resolution stuff comes out. Players can change their goals and beliefs at any time, as long as the GM approves and it makes sense in-fiction. 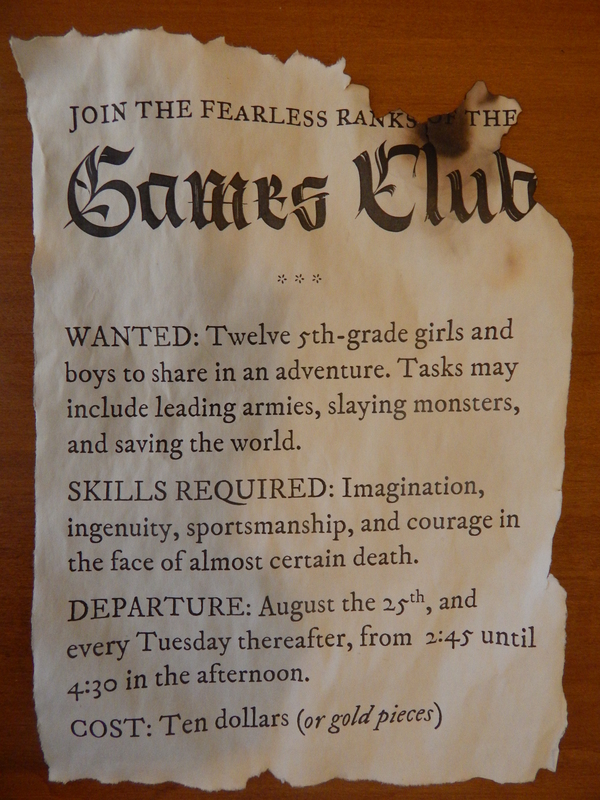 On Tuesday, I ended up running my elementary school’s RPG club by myself, so I had two groups on my hands. My usual group was familiar enough with Dungeon World that they could run it themselves, so that left me with the other group, who normally played Pathfinder. I decided to try Sellsword, the game idea I’ve been tinkering with. I’ve skimmed the Amber rules, so I spent 20 minute drawing a character sheet and company sheet, photocopied them, and was ready to go with minutes to spare. Front of the sheet. Skull-boxes are for wounds, “Day” is for how long you’ve survived. There was also a company sheet (they named theirs The Company of the Iron Claw) with a place to draw a map of their hideout. This proved a popular feature. Unfortunately, I’m not sure what happened to it. Back of the sheet. Write your fate on the tombstone when you die. Playing diceless has some interesting effects. The GM has to be ruthlessly fair, since everything depends on his calls. In general, I let contests be decided purely by the greater stat, and skill based things only worked if they could describe in detail exactly what they were doing. Very player focused, as opposed to character focused. Things got hairier when people started double teaming others in combat. I decided to rule that teaming up against people gives you a huge advantage, as it would in real life, and I think it played out pretty well. I used four stats, Strength, Endurance, Speed, and Combat. Basically the same as Amber, except I used Speed instead of Psyche. One thing I didn’t do a good job of using during the game was Speed. I initially imagined it as a way to compare characters during chases, but what I should have been using it for was maneuvers. It should be the stat for gaining positional advantage. Many of my 5th graders started figuring out how lethal this game was pretty quickly, and began avoiding combat, even though I wasn’t going my hardest at them. I only gave them four wound slots before they died, but only one ended up in the graveyard, and that was due to PvP combat. The characters were very fast to generate, but I should have made them even easier, or rather I should have had them generate a stack of characters before hand, so that they could be replaced quickly as they died. I’m still not used to running a game this lethal. I felt that everyone acted much more realistically once they realized that they were very vulnerable (similar to my experience running World of Dungeons), and that’s a good thing. They also tried to help each other more, and were willing to retreat from a fight. I also made a concession to character background and had them write in a friend and an enemy on their sheet, but this was a bad idea. It makes the characters too relatable at the beginning. Instead they should write an ally and an enemy(s?) on their company sheet, which persists as the characters die. Everyone had a great time, and there are simmering character conflicts that would be fun to explore. The two girls in the group decided to sit in the warm tavern by the fire while all the guys trudged through the rain and mud to find the bad guys, returning wounded and exhausted. 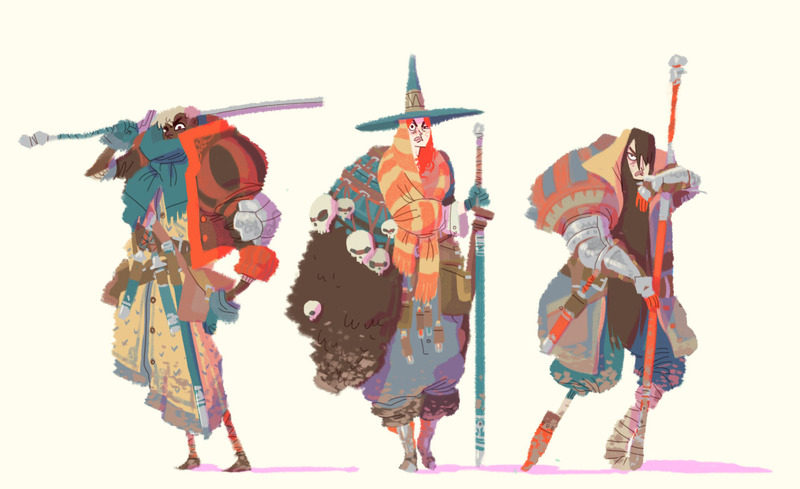 The girls were planning to get the guys killed so they could start a cloak-making shop. It was great. I’m calling a success for a first try, and I’d like to run it again with some changes. I’m also thinking about an alternate system, where players use playing cards and script out actions similar to Mouse Guard and Torchbearer. It would provide the kind of tactics and teamwork that I’m looking for. More on that later.